Travel, renewal, and exhaustion – Art's Musings, etc. I just completed one of the busiest travel schedules I’ve ever had. 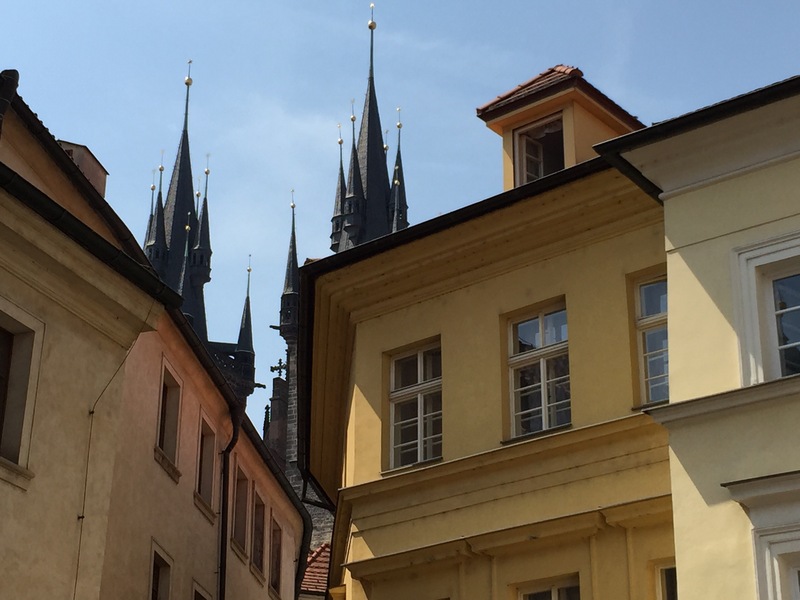 This time I had a conference in San Francisco, followed by another conference in Prague. 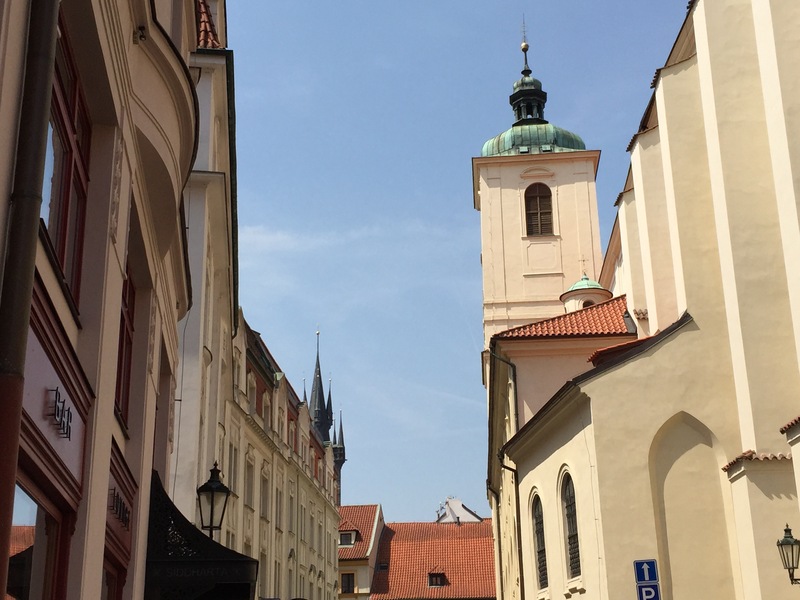 There was no time to go home between meetings, so my jet lag had trouble keeping up with my schedule. To top it off, I’m back home now for 1 short week before the movers come to take us to our new home in Athens, GA. 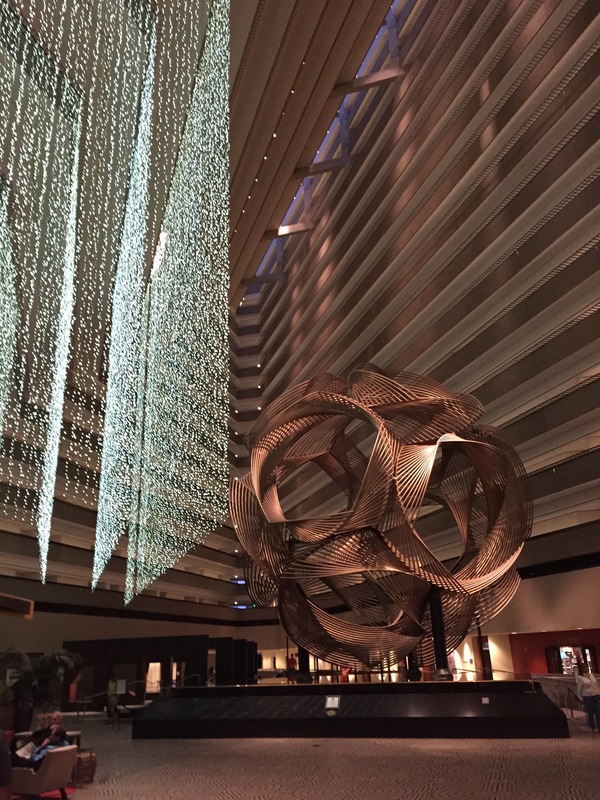 Lobby of the Hyatt Hotel in the Embarcadero in San Francisco. Travel, in general, is renewing. It gives a fresh perspective on life and shows both great differences and similarities between people from around the world. I love to see and do new things, and when I travel I see everything a bit more intensely than when I’m in my routine at home. And yet, when I return from trips like this, I find myself looking at my familiar home with fresh eyes. I will see houses or trees or a sunset that I would photograph anywhere else, but I don’t usually do it at home. Conferences are also renewing, and the ones I just attended were no exception. They are places for the exchange of ideas, meeting new people, and thinking up new plans for the future. I got a very good dose of this scientific recharge at both meetings, and I’m excited about trying some completely new directions with our research. Much of this won’t work out, but some things will, and that is the key to new discovery. You’ve got to try new things, and almost by definition, a lot of them won’t work. If that causes (too much) anxiety, basic scientific research is probably not for you. Despite the scientific recharge and visits to two beautiful cities, this last two weeks was too much. 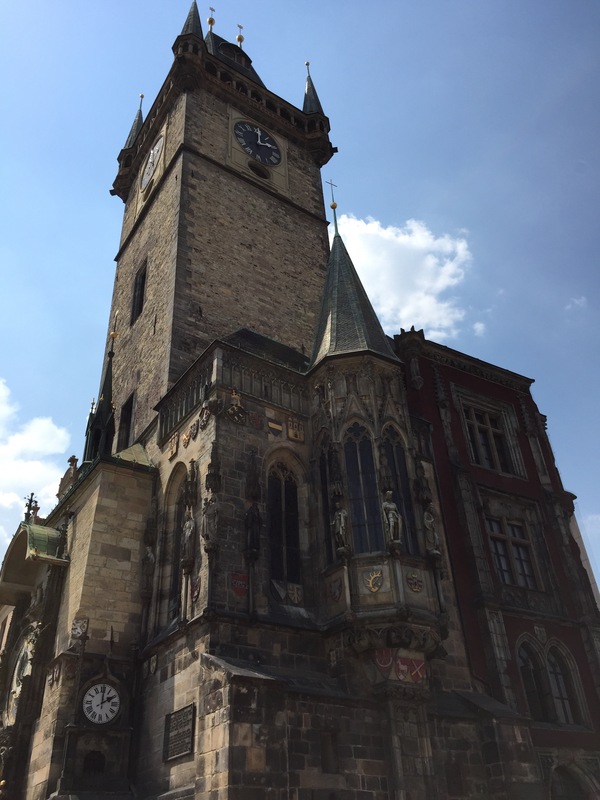 When I go to new place like Prague, I like to bring my wife and spend some time to really see the place. We always try to carve out an extra week to spend time walking through the cities, seeing museums, and learning a bit about the culture. One of my favorite things is to find leatherworkers or other craftsmen to see what they make and how they do it. It almost is like a scientific conference when I’m in a city like Florence with all the wonderful crafts. I love to ask people about how they learned their craft, where they get their leather, how they do certain steps. If there is time, I like to tell them about my background in saddle making and show them some of the things I’ve made. Another thing that I love to do on trips is sketch in museums. I try to always have my sketchbook and pouch of pencils. I’m the guy sitting quietly off to the side of a popular piece like Michelangelo’s David or Rodin’s Thinker with my book in hand trying to see the nuances in the work without getting in everyone’s way. Sketching and walking my way through great cities is one of my favorite things. I didn’t do much of these things on this last two week craziness. Yes, I had a few walks and saw some nice things. I had some good meals and even got to see a few unusual and nice exhibits. But I just didn’t have the time or energy to begin to see beyond the main roads and convenient places to eat. Jan Koblasa: 3 faces with tongues sticking out. This was in a Prague gallery that I visited (without my sketchbook!). 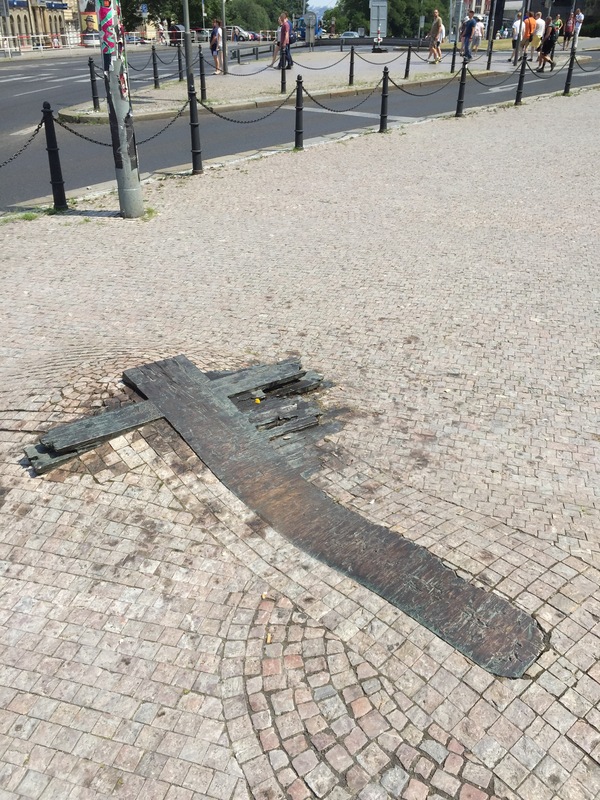 Sculpture on the sidewalk in Prague. It reminds me once again of the need for balance in life. Seeing the small things and observing patterns in the world are the activities of the artist, craftsman, and scientist. Somehow, when I try to see the world through the eyes of a craftsman, I am also building up my ability to see and better understand the world of science. 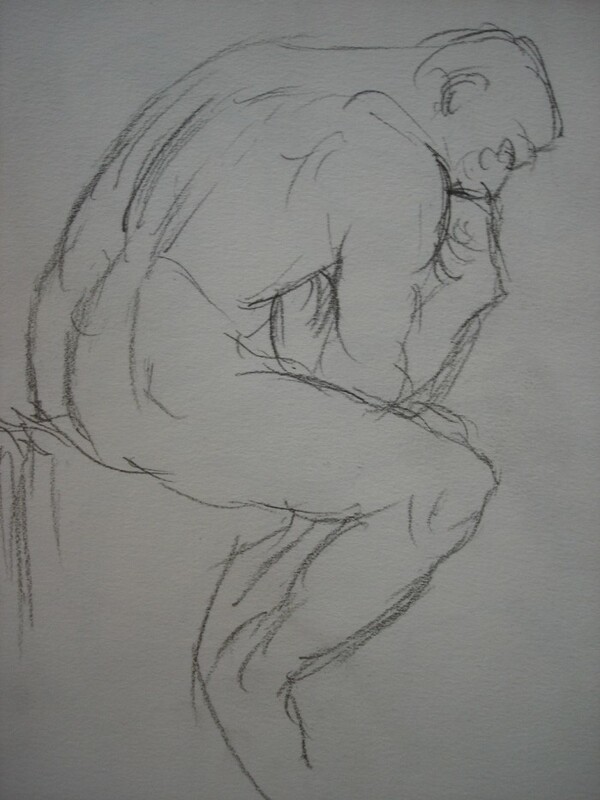 Sketch of The Thinker I made while visiting the Rodin Museum in Paris a few years ago. Nice post, Art! Had no idea you are an artist as well as a craftsman. I always say, the best travel is when you’re happy to go… and even happier to get back home. Sounds like this last spate of travel for you was a mixed bag, unlike other, previous travel for you. But even that can be worthwhile. Now, you’ll appreciate the next, perhaps more traditional, trip all the more. Good luck with the move to Athens! Thanks, Curtis. I’d hardly call myself an artist, though I did give it a try as an art major when I first returned to college as a premed following saddle making (needless to say, neither art nor premed stuck!). I am definitely looking forward to some more relaxed travel after settling down in our new home.